London is probably one of the easiest cities in the world to find live music to listen to. The difficulty manifests itself in hitting the tri-factor where your taste meets cheap and near. This means you, as an avid live music explorer, will have to settle for something not to your liking or forfeit next week’s meals. However, free gigs that meet these criteria are littered across the Cartesian plane broken by the nexus of the Northern and Central lines. The stations themselves and occasionally the trains are home to a myriad of live performers touting coin-filled fedoras. In fact, just emerge from the suffocating depths of Piccadilly Circus and somewhere amongst the throngs of tourists and pigeons, cosmopolitan buskers ranging from ska and reggae to jazz are plugging their musical wares doing what we all do in this absurdly expensive city – hustling. It’s actually impossible to avoid free live music in the big smoke, but to simplify your hunt; here are a few of the coolest places to satisfy that hankering. Anyone who has ever found themselves wandering the streets of Soho know that London’s West End is globally revered to the extent that it rivals New York’s Broadway. Lesser known are the theatres that offer up goods more of the musical than theatrical variety. 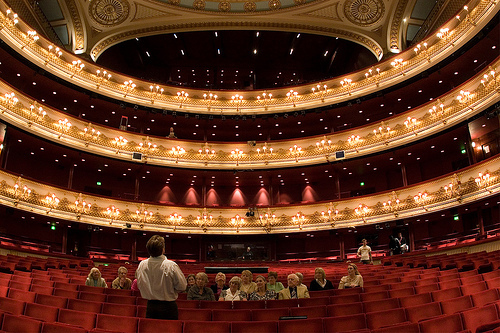 The Royal Opera House does free lunchtime recitals, but be sure to reserve your seats at least a week in advance, which you can do here. Less central but easily accessed is Kings Place near the fashion hub of Central Saint Martins and Kings Cross Station, which frequently puts on free music events according to their weekly creative themes. Check out the listings here and enjoy some gloriously cheap tunes with a front seat view of Regent’s Canal. Another good bet is Southbank Centre’s Clore Ballroom which is home to many a foyer performance and a bar to accompany the performance with a tipple. Historically churches are seen as the first home of live music and whilst the scene has progressed ever so slightly from monolithic organs and harmonious choirs to jarring guitar solos and mosh pits, these architectural wonders are still representative of premium acoustics. 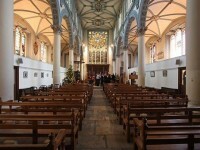 St Olave’s is a small church located amongst the hustling suits of the City which offers lunchtime recitals. They span a range of classical performers including guitar, flute, piano, vocal and ensemble performances. Admission is free but a collection plate is passed around and encouraged if you would like to have an easy night’s sleep. Similarly, across the city is St Martin-in-the-fields which also puts on lunchtime recitals if you’re more West London inclined. 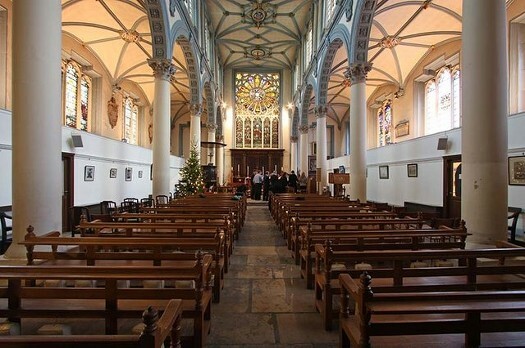 See also St James’s Church in Piccadilly for a comprehensive list of lunchtime musical revelry. London loves a market and London’s markets love live music, so you’ll not be hard-pressed to find a friendly street busker when perusing the stalls of Borough or Brick Lane. Some other good options include Covent Garden, which has been known to host impromptu opera singers that aren’t afraid of a little one on one serenading. 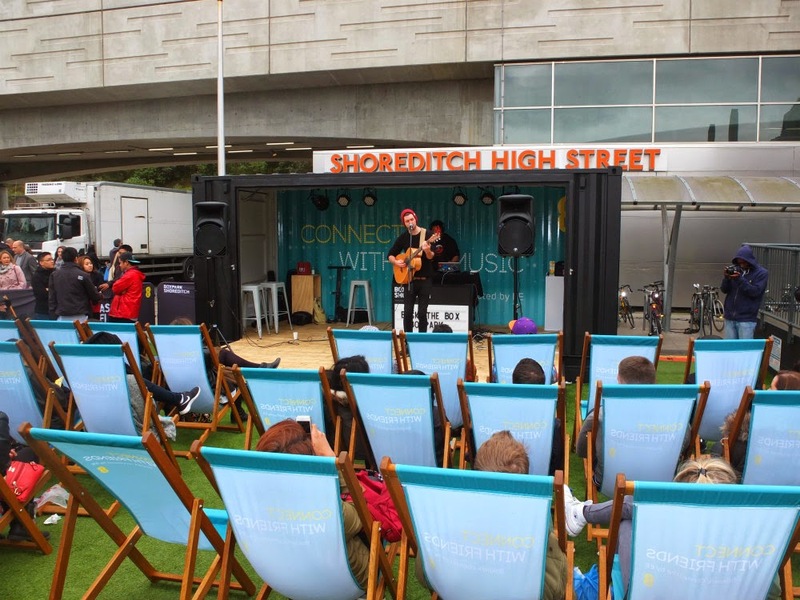 Boxpark in Shoreditch hosts Sunday live music sessions that range from bands to DJ’s, and their event listings are here. But in all honesty there is bound to be a performer of sorts at any of London’s markets as nothing accompanies the cries of bartering traders quite like some melodic guitar playing. 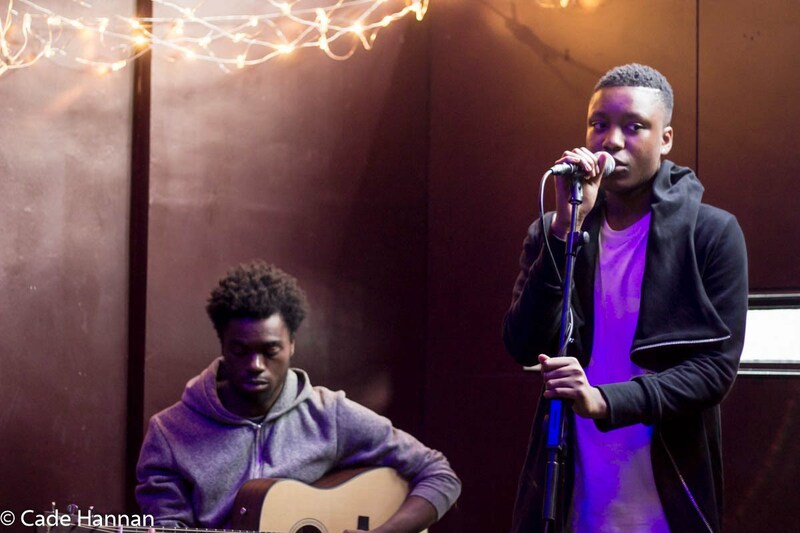 London’s live music circuit is littered with open mic nights catering to the swathes of up and coming artists. The nights are geographically dispersed across the city mostly taking place in classic boozers and at least one happens a night a week if not more. The combination makes for an easy and enjoyable night out where you can enjoy a drink with mates whilst listening to some fresh new music. In Kentish Town on a Tuesday The Abbey Tavern hosts their open-mic, and being located in the musical mecca that is North London, you can expect the night to have a passable quality of music. Also on a Tuesday across the river in SE, the New Cross Inn puts on their equivalent, expect this to be a bit more unpolished and raw but still a good time as the pub is located across the road from art school Goldsmiths, so expect all manner of trendy comers and goers. On a Wednesday the mini bar at the revered live music venue The Garage in Highbury plays host to an unplugged evening showcasing only acoustic and stripped down sets. Entry is free and drinks are undeniably un-London priced with mixers and pints costing a cool £2.80. If you’re located more South West, Tooting Tram and Social puts on an open mic every Tuesday that has garnered praise for its energetic but easy-going atmosphere. I dare you to have a bad time at one of these. My old university lecturer tended to regale us with his tales of sourcing interesting music in the 80’s in London. He would cite HMV on Oxford St, as being expansive and varied as well as stocking the mainstream stuff and Rough Trade as having the quirky artists that you couldn’t find in your average high street record store. Coincidentally, these are two well-known record stores that routinely host live acts. At its most famous location HMV bills its live showcases as “[insert artist name] meets fans” and has recently had Jess Glynne and Olly Murs in store. Expect large crowds. 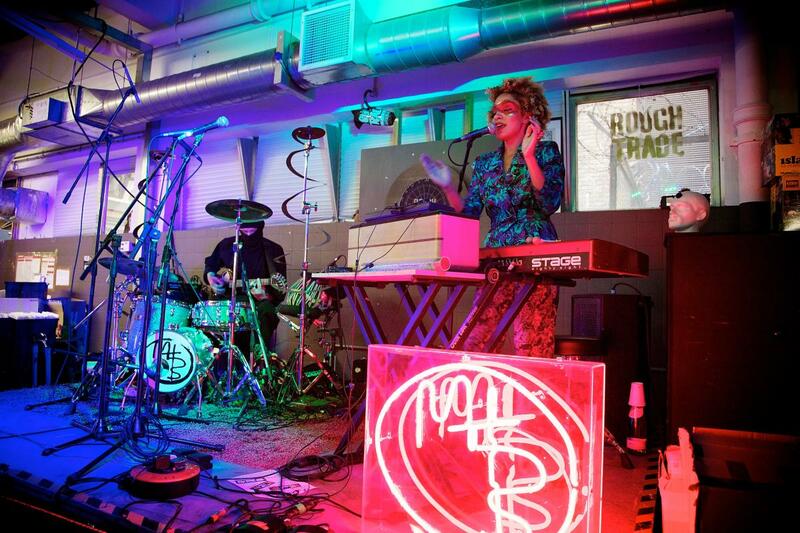 Rough Trade West has previously teamed up with Notting Hill Arts Club to put on free Sunday session of interesting upcoming acts, which has unfortunately been discontinued. However, the tradition continues particularly on days like the annual Record Store Day. It’s a smaller space than its Eastern counterpart so expect more stripped down sets. Rough Trade East hosts many in-stores a week, which are often free only requiring the punter to arrive early to get a wristband or to purchase the performing act’s album. London is home to many hole-in-the-wall activities and many of them musically related. These take place every day of the week and at all times of the year, making it one of the most perpetually busy cities in the world. A lot of these are free, which makes its adjacent “perpetually expensive” label sting just a little less. These are not hard to find and in the era of google all you need is a little finger joint grease and you’ll be on your way to catching free live music, which suits your genre preferences and geographic location. of these are free, which makes its adjacent perpetually expensive label sting just a little less. These are not hard to find and in the era of google all you need is a little finger joint grease and you’ll be on your way to catching free live music, that suits your genre preferences and geographic location.